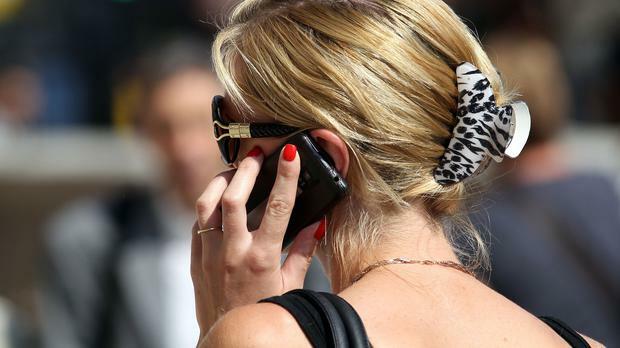 Eir lost 11,000 mobile phone customers overall in the year to the end of September 30. The losses came in its pre-pay section, which represents 48pc of its mobile base, according to its first-quarter results for 2019. The group continues to have more than one million mobile customers across pre- and post-pay, with its bill-pay subscriber base increasing 6pc year-on-year. In contrast, Vodafone, which also released results yesterday, saw its mobile customer base in Ireland grow by more than 8,000 during its second quarter, with contract customers increasing by nearly 4pc year-on-year. Eir's broadband base totalled 925,000 customers at September 30, 2018, growing by 22,000 customers year on year, driven by growth in both retail and wholesale divisions. Earlier this week, Eir announced plans to invest €150m in rolling out 4G mobile broadband that will cover 99pc of Ireland's geographical territory within two years. This is the first time that a mobile operator has offered universal land coverage. Earnings before interest, taxation, depreciation, and amortisation at the group increased 11pc year-on-year to €138m in the three months to 30 September. This is despite the group reporting a 1pc fall in revenue to €312m. Operating costs were down 12pc to €108m in the three months. Eir CEO Carolan Lennon said that performance was underpinned by "solid growth momentum coupled with a continued increase in operational efficiency". Meanwhile, Vodafone Ireland's service revenue grew to €241m in its second quarter, up 3.3pc year-on-year. Mobile data usage increased by 44.1pc to over 21.2 petabytes of data for the first time. Martine Gellar Consumer goods group Unilever is on track to meet its performance goals this year after strong sales in emerging markets led to a better-than-expected start to 2019. Donal O'Donovan Almost €2.8bn was spent on research and development (R&D) by businesses in Ireland in each of 2017 and 2018 - up 24pc from two years earlier.